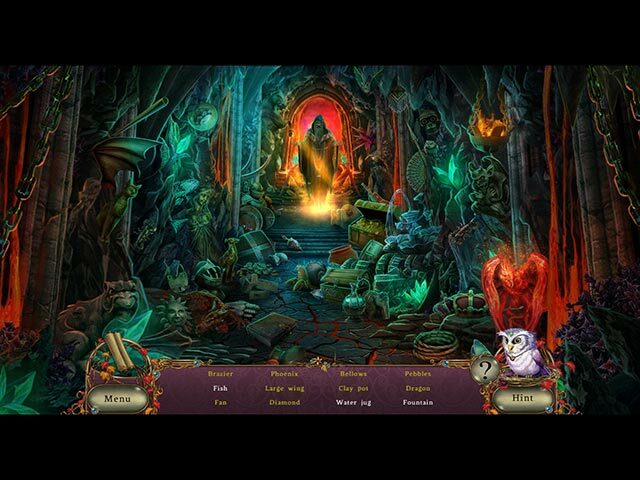 Brought to you by Boomzap Games, the creators of the Awakening series, Dana Knightstone, Otherworld, and Botanica series. 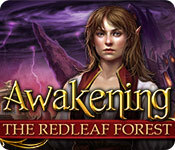 Awakening: The Redleaf Forest is rated 3.7 out of 5 by 18. Rated 5 out of 5 by mohammad2015 from A beatuiful end to a beautiful series! I enjoyed this game immensely. 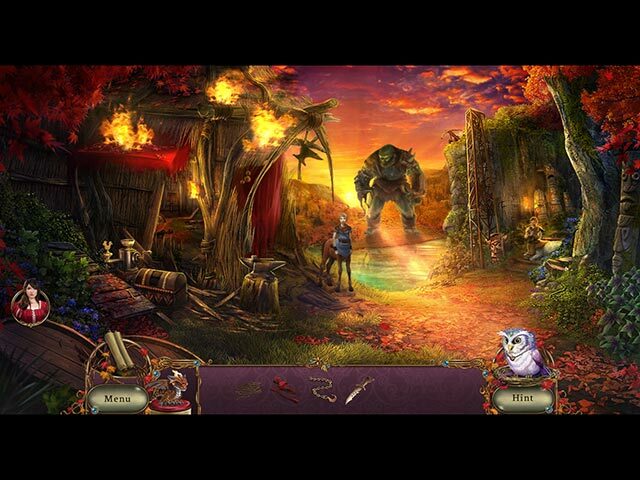 From the gorgeous scenery to the interactive hidden object scenes to the clever puzzles to the engaging storyline to the superb assistants (Ran and the pocket dragon), I had loads of fun and a great time. In my opinion, Boomzap games are without equal. Rated 5 out of 5 by DelennDax7 from Plenty of things to do Played the entire game on "Normal" mode. Loved it! I felt like it was more like the olden days of Adventure games when you had plenty to do & not a constant barrage of Hidden Object Scenes. The HOS they had were creative & interactive. There was a storyline that stayed consistent throughout. I marked that aspect as just "okay" cause it was just the average one of "let's banish the bad guy of the land & restore peace among 2 warring factions." There's plenty to do....and a couple of the negative reviews have marked it down for that....there's a puzzle to figure out around nearly every corner. I DO love the interactive maps they are putting into games these days..is there something to do in this or that spot & please beam me directly there. I played over several days and the total game time was a little less than 8 hours....It felt like longer to me. I like a game that takes me awhile-it feels like it was more worth the money. The Hint is very helpful..yes, I don't hesitate to use the hint button..a game is no fun if I'm at a loss as to what to do. The number of times I felt I needed a hint were just perfect to me, not too easy; not too hard. Rated 5 out of 5 by denniann2 from i enjoyed this one as much as the others in this series. it doesn't not have a custom level, but you can choose 1 of 3 levels to play. i played on casual and hints/skips were pretty fast. there is a map that will teleport you to where you need to go and usually indicate where the action is you need to take. i finished it in 3:57 hours. you are looking for your parents that has been taken my an evil being that has sacrificed himself to become a familiar. a familiar that is wants to turn all the people to stone or have them at his disposal . Rated 5 out of 5 by Tikatoy from A satisfying conclusion to an epic story This is the final game in a six part series, so I would suggest starting from the beginning so you get the full effect of the story. The art is beautiful, and Sophia continues to meet interesting characters like the centaurs and dwarves. They are not as unique as the djinns of The Sunhook Spire, but still well-drawn and with interesting personalities and back stories. The hint functionality is very good, telling you where and what to do next; some other games give no feedback at all until you're in the correct location, forcing you to wander around randomly clicking the hint button until you get a response. The puzzles are on the easier side, much like the rest of this series, making this game suitable for younger children to play. Rated 5 out of 5 by pennmom36 from A Journey's End We have watched Princess Sophia grow up on her magical journey, this child was born without magic yet has the drive and endurance to overcome obstacles and rule her people as their beloved Queen! Sophia awoke from a dreamless slumber only to find that her parents are under a powerful curse, a restless slumber for eternity! Her journey has taken us from The Dreamless Castle to the beautiful Moonfell Woods, The Goblin Kingdom, The Skyward Castle (where she takes the throne) The Sunhook Spire and now the final leg of her journey, The Redleaf Forest. She has been told that the Centaurs are capable of forging The Blade of Courage, the only weapon that can destroy the evil Dreadmyer responsible for her parents curse. Will Queen Sophia defeat Dreadmyer, will she be able to lift the curse and finally be reunited with her parents? This is indeed one of the best fairy tale themed series out there, although it is necessary to play this series in order, I highly recommend that you start at the beginning because the story really is good. 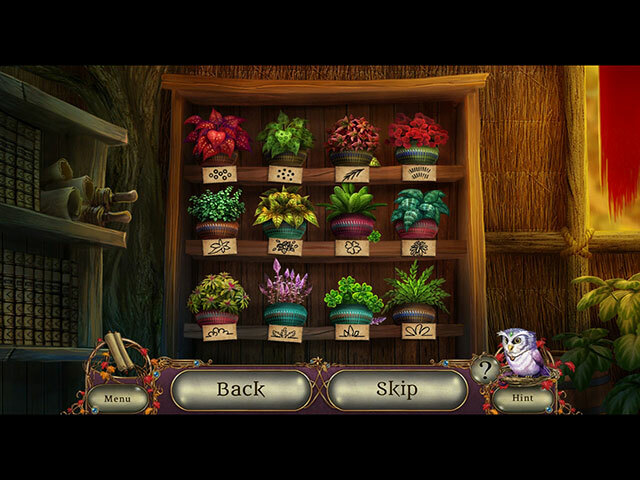 I loved the newer format of the Hidden Object Scenes, they are very interactive. You may have to find and place a knight's breastplate which will cause the mace to fall, you then must place the mace on the rack with the other weapons and swap the weapons until they are in the correct sequence which will then show you the correct code to unlock a treasure chest and so forth. The mini games are simple puzzles as with all of the Awakening games, not too easy not too hard, and almost always entertaining. You may have to swap two sections on 4 different bars until the two sections line up and match a totem key when you pull the lever. Ran the owl is still by our side as our hint icon, which will tell you there's nothing to do here or ask if you want to teleport to an area with an active task. That hungry, mossflower eating pocket dragon has returned as well to help us with anything that requires extreme heat! In my opinion, this Standard Edition is the better value unless you really want a built in strategy guide. I'm sad that this magical journey had to end, but all good things must come to an end, right? Enjoy! Rated 5 out of 5 by rosekaufmann from DELIGHTFUL AND ENTERTAINING SUMMARY: A delightful and entertaining game. Graphics, voice overs, sounds, artistry, story, animation, HOS and puzzles are awesome. Only downside is that it appears the series is ending. Love all the BoomZap series - I have every one. I can never find much that needs improvement in their games. This is a wonderful addition to your games. IF YOU WANT A LONGER AND MORE DETAILED REVIEW REVIEW, READ ON. IF NOT, YOU CAN STOP HERE. STORY: Queen Sophia still hasn't saved her parents from their endless sleep. She must find Argenius, a centaur in the Redleaf Forest; he's the only blacksmith who can fashion a Sword of Courage to help Sophia defeat Dreadmyre. But just after she find Argenius, he is stolen by an Ogre. She must rescue him before she can save her parents. GAMEPLAY: is meticulous. In case you can't determine what the next major task is, you objectives are shown. To help you along the way, Ran the owl is back. From him, you can hear Sophia's and her friends thoughts and he will direct you to where to head next. The adorable pocket dragon is back to provide fire when needed. I hope he is moved to a new series because I'll just miss him. EFFECTS: Superb animation, use of color palettes, graphics, artistry and pleasant voice overs. Sound effects and voice overs are realistic (though it's a little hot to be listening to crackling fires right now). HOS, PUZZLES AND MINI-GAMES: The interactive HOS (including silhouettes) are moderately crowded and very detailed. The rich hues make finding objects a pleasure. Puzzles are interesting and objects needed to complete them are found nearby (usually within 2 or 3 screens). You will be looking to solve many at the same time. Mini-games are unique and creative. The difficulty level varies and one I ended up skipping because I couldn't figure it out. OTHER STUFF: Music is the same as with the previous Awakening games. Three modes of difficulty. I bought the CE instead of the CE because of the Collectibles and achievements and to meet the little princess (can't bear not finding out about her) and sow my seeds in the garden (what fun)! Rated 4 out of 5 by kraymin from What's not to like, I'll tell you First off I am writing this review in 2017 so this game is a bit older now. But if you're contemplating this game for purchase you should really have fun with it. When you play an older game obviously the graphics and such will look older. So with all things considered I really like this game. I can imagine when it was new it was probably a pretty excellent game. Hey if you wait for a bogo or you get your free game from punches (which is how I got this game) this game is fun and worth a play. The parts of this game that are outdated will give you a chuckle, but all in all its worth playing so try the demo first and I bet you will buy the game. Rated 4 out of 5 by Yanie1020 from Better Than I Thought It Would Be I liked this one. I had my doubts at first because of some of the bad reviews, but it's obvious that most of those people only played the demo. It started out a little slow but got better and better. So playing the demo isn't enough to give this game a fair chance. It was quite long and had some fun puzzles. Voiceovers were mostly good. I played it because I've played the other Awakening games. I wasn't disappointed. Rated 4 out of 5 by RevKellie from Ending at the Right Time I loved the early Awakening Games and happily waiting for each new one. But the lackluster effort on this game shows the story was ready to end. It's a good end, but a necessary one. Pros: beautiful graphics, cut scenes and backgrounds. Puzzles easy to low-medium, story adequate - not as compelling and the minor story (dwarves/centaurs) has no real meaning or climax but it's easy to follow. Intuitive objects, moves forward quickly. Cons: Same old, dragon rarely used and not really necessary, hidden objects and puzzles with grey/boulder/dark background are hard to see - one puzzle I just kept hititng hint until it was solved because i couldn't see the bricks well enough to solve it. Bad instructions for mini-games (not a new problem with boomzap). It's not a bad game and if you have played up to this one you owe it to yourself to see the satisfying ending. Rated 4 out of 5 by rpggramma from Love the series! I lucked out and started playing from the beginning and have waited for each addition. This one did not disappoint! Ending was as expected. Hope a new series as good as this, begins soon. Now, the Bonus: you could have kept it; did not care for it, at all! Was very glad to be thru with it!! And the Garden: I'm still trying to find the flower stones?? in order to make the rest of the flowers. CAN'T FIGURE THAT OUT??? STILL LOVE 'BOON'!!!! !